Yet another of the many great activities awaiting you when you plan your next trip to Jackson County and the North Carolina Mountains is a wide range of Great Smoky Mountain hiking opportunities. The area features elevation changes that range for 2,000 to 6,000 feet. The mountain hiking trails offer mountain scenery, wildflowers (download our Wildflower Blooming Calendar), and wildlife viewing for hikers of all experience levels. Jackson County has over fifty well-maintained mountain hiking trails, including 675 miles of trails in the Great Smoky Mountains National Park alone. The famous Appalachian Trail, running 2,000 miles from Georgia to Maine, makes its pass through the North Carolina Mountains just north of the county. There are various guide services that are available for both day hikes and overnight pack trips in the area. 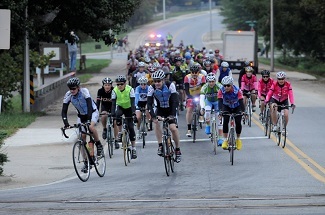 Cyclists find a wide array of challenges in and around Jackson County, including single-track trails, back roads, and trails in the Nantahala National Forest. The Nantahala Outdoor Center's Tsali Trail System is one of the nation's finest, while Panthertown Wilderness Area and the Roy A. Taylor ATV Trail System also offer riding opportunities. The Blue Ridge Parkway is off-season favorite for road bikers, but isn't recommended in the summer and fall because of heavy motor traffic. Jackson County offers a superb selection of classic mountain golf courses that are both challenging and scenic. Our daily fee and semi-private layouts host thousands of golfers each year. From Cashiers’ world-renowned resorts and courses in the south to the picturesque Sequoyah National Golf Club in the county’s north end, the area is replete with one-of-a-kind mountain golf in a variety of awe-inspiring settings. Check out our list of golf and tennis clubs in Jackson County! 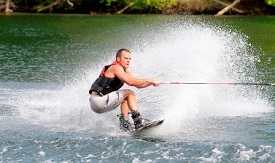 Swimming, sailing, water skiing, boating, tubing, whitewater rafting, kayaking and canoeing are all available in Jackson County. There are four whitewater rivers, the Tuckaseigee, Chattooga, Oconaluftee and the near by Nantahala, with difficulty ranging from Class I to Class VI. Commercial companies rent rafts, canoes, kayaks and tubes. Canoes and boat rentals are available on Lake Glenville, near Cashiers. There are also several smaller, more remote lakes in the county, all of which have boat access. We have a great list of rafting companies in our directory! Horseback riding is a popular pastime with children as well as adults. There are several stables in Jackson County offering guided trips. Our winters are generally mild, but snow is not unusual, particularly in the higher elevations around Cashiers, Sapphire Valley and Balsam. At the Sapphire Valley Ski Area, snowmaking machines help maintain prime skiing conditions from mid-December through February. The ski area offers four slopes, a vertical drop of 425 feet, a chair lift, and a surface lift. Throughout the year, Sapphire Valley Resort offers a zipline canopy tour as well. Skiing locations in northern Jackson County are within reasonable driving distance of Cataloochee Ski Area in Maggie Valley. The Blue Ridge Parkway is closed during any kind of winter weather, and is popular with cross country skiiers during those times. Weddings are always a special experience, but are quite unique and unforgettable amidst the backdrop of these beautiful mountains. Would you like some guidance as you tour the Jackson County area and see our finest attractions, restaurants, breweries and more? Look no further than Leap Frog Tours by clicking HERE. They will show you the best Jackson County has to offer. If indoor activities are more your speed, check out 828 Escape, Sylva's own escape room experience. Or if you're a cat lover, Jackson County is home to the country's first "American Museum of the House Cat," an eclectic experience for any lover of our feline friends. Jackson County communities Sylva, Dillsboro, Webster, Glenville and Cashiers have historic walking tours and maps that are available for visitors and locals alike to tour at their convenience. 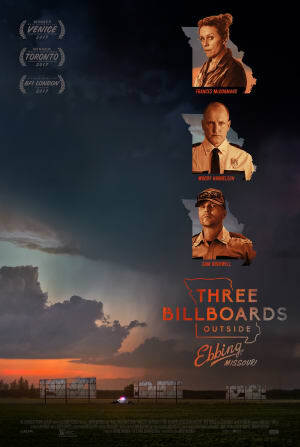 The movie "Three Billboards Outside Ebbing, Missouri," is a film partially shot around the Sylva area during the summer of 2016 and was released to a worldwide audience in late 2017. The Martin McDonagh film features such stars as Frances McDormand, Woody Harrelson, Sam Rockwell, and Peter Dinklage. It not only received high praise, but garnered many of the industry's highest award nominations and recognition. The movie picked up six Golden Globe nominations, including Best Picture, Best Director - Martin McDonagh, Best Actress - Frances McDormand, Best Supporting Actor - Sam Rockwell, Best Screenplay, and Best Score. It was awarded four awards from those six nominations, including one for Best Picture, Best Actress (Frances McDormand), Best Screenplay and Best Supporting Actor (Sam Rockwell). Later, the film earned four more award nominations from the Screen Actors Guild (SAG), including Best Ensemble, Best Actress - Frances McDormand, Best Supporting Actor - Sam Rockwell, and Best Supporting Actor - Woody Harrelson." On Jan. 21, it won three Screen Actors Guild Awards from the four nominations including Best Ensemble, Best Actress (Frances McDormand), and Best Supporting Actor (Sam Rockwell). The film earned seven Academy Award nominations for Best Picture, Best Actress (Frances McDormand), two for Best Supporting Actor (Sam Rockwell and Woody Harrelson), Best Original Score, Best Film Editing, and Best Original Screenplay! The film won two Academy Awards on Sunday, March 4, including Best Supporting Actor (Sam Rockwell) and Best Actress (Frances McDormand). The film earned five British Academy of Film and Television Arts (BAFTA) awards including Best Film, Outstanding British Film, Best Leading Actress, Best Supporting Actor and Best Original Screenplay. For a brochure to see where parts of the film were shot in Jackson County, download a quick reference guide HERE.